Microneedling, also known as collagen induction therapy, a is a skin rejuvenation procedure. 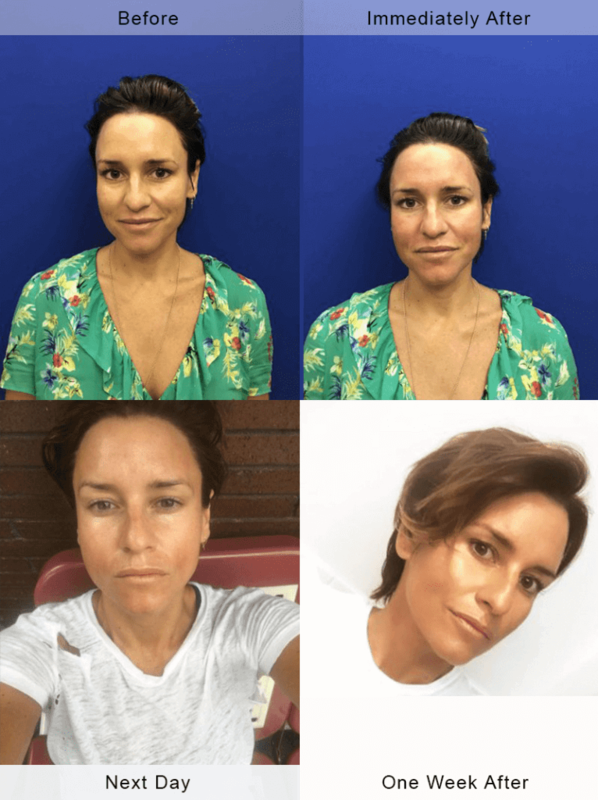 Skin rejuvenation is often sough after because patients want to have glowing, youthful, dewy skin, but the sun, genetics, sweat and everyday life in New York City takes its toll. Even at young ages, people often notice changes in the texture, color, pore size, and overall quality of their skin. 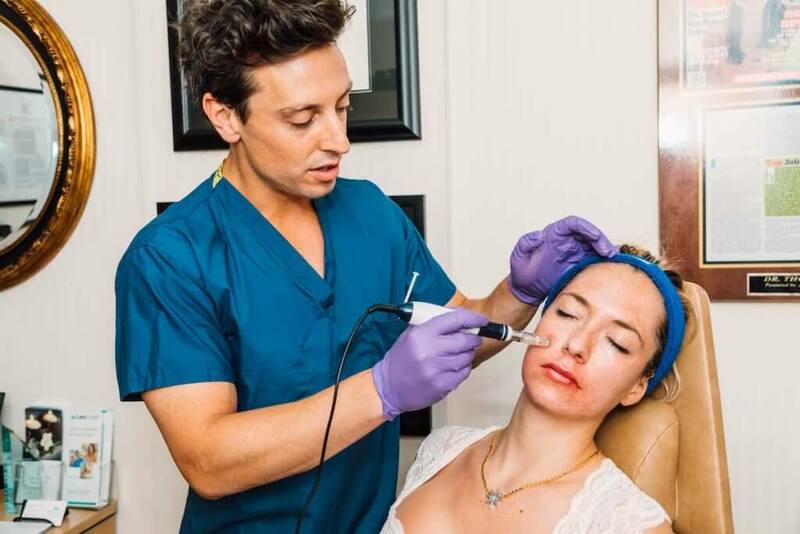 Some patients consider chemical peels and lasers, but these options can be complicated and confusing, as well as require significant downtime and redness. We have found that chemical peels can be unpredictable and painful, and the heat generated from lasers prolongs swelling and redness. In truth, chemical peels and lasers are better suited for a specific type of patient seeking dramatic changes and is tolerant to several days (or even weeks) of redness and/or swelling. As an alternative, Neinstein Plastic Surgery specializes in microneedling treatments that offer our patients a simple, low-downtime option for skin rejuvenation. Microneedling is also known as collagen induction therapy. After the skin is numbed with our special numbing medication we use a hand held device on the skin with tiny little needles that cause micro punctures in the skin. There is no pain or discomfort but patients can feel the “tingling” sensation of the device moving over the skin. As the tiny needles penetrate the skin they create a column. This column gets filled in with new collagen. The new collagen is better than the older collagen and gives the skin a better appearance and texture. We can tailor our microneedling treatments and expected results to the downtime patients are willing to have. Our typical protocol will have the patient’s skin red in the office and pink over night. Most patients will resume normal activities later in the day, after the procedure, but might have a slight pink hue to their skin. We find that the microneedling procedure is pain free, safe in all skin types, and has predictable skin improvements. Since we typically take a measure approach to limit downtime, we find that many patients will come back to receive additional treatments for additive effects. We ask patients to wait 3-4 weeks for their next treatment. Rejuvenating the skin to improve texture and appearance will always have some downtime. When meeting with a patient, Dr. Neinstein likes to discuss how much downtime they are willing to accept. From there, he can tailor treatment to their requests. We have found most patients are ok with being red for the rest of the day/overnight and having a flushed/rosy look the next day so they don’t have to stay in. If you are willing to spend a weekend inside, Dr. Neinstein can take a more aggressive approach. The typical measured approach just means patients will need a few additional treatments to get to the final result. We have found that most patients seem to like this strategy. Patients should gently wash their face twice with a gentle cleanser(like Cetaphil or Ceravae) on the evening of their procedure. Once washed, we recommend patting the face dry with a washcloth, then applying a thin layer of Aquaphor or Vaseline. The day after microneedling, patients may go back to their normal daily moisturizer. You will notice products tend to penetrate deeper. Patients really enjoy the feeling of their favorite skin care products’ enhanced penetration. 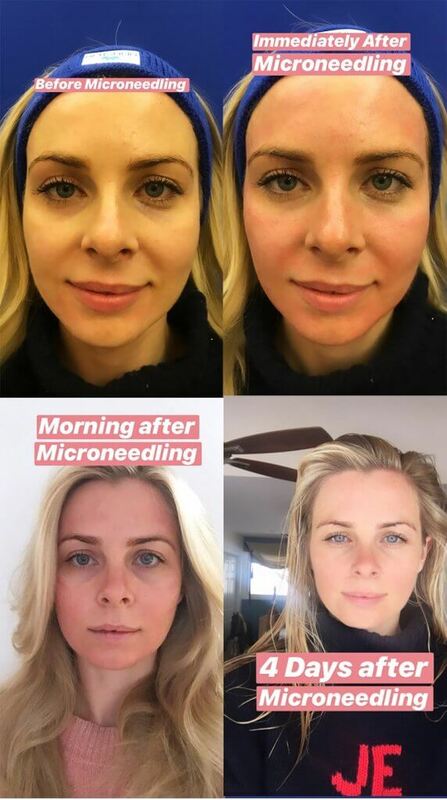 The cost of microneedling by Dr. Neinstein in our New York City offices is $750 for the first treatment and $500 for every subsequent treatment.